‘Australian-ness’ in musical theatre: a bran nue dae for Australia? 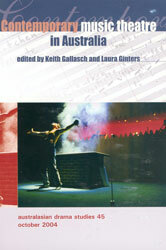 HELENA GREHAN, Playing Australia: Australian Theatre and the International Stage ed. Elizabeth Schafer and Susan Bradley Smith.